The hosts for the 2018 German national final for the upcoming Eurovision Song Contest have been announced, and they are Linda Zervakis and Elton. Together, they will present the live show in February where six acts will bid to represent Germany in the Portuguese capital. Although she has never had any professional Eurovision duties, Linda is very familiar with different genres of music. The newsreader, who has dual Greek/German citizenship, began her career on NDR radio with the programme N-JOY and hosted the television show Experiment mit Linda Zervakis four times. 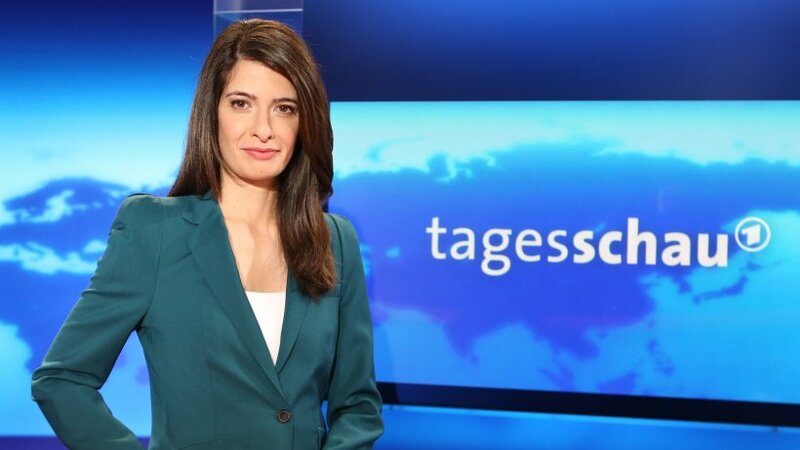 She then graduated to presenting the news programme Nachtmagazin, and later became one of the main newsreaders on Tagesschau. “I’m excited to be able to announce the results from Berlin!”, says Linda. Elton (real name Alexander Duszat, goes by Elton due to his resemblance to Elton John) already has some experience of the Eurovision Song Contest. He presented Lena’s victory in Oslo in 2010 to the people watching TV Total live from the Norwegian capital. Six years earlier, he was part of the German delegation in Istanbul. He has also worked with Stefan Raab since 2001. I’m well prepared for my first time presenting a Eurovision event, not only because of my experiences in Istanbul and Oslo, but also as a football fan – I’m an expert when it comes to singing for points! Elton is a massive fan of the German football team FC St. Pauli. Tickets for the show are expected to go on sale around mid-January.